If you’re looking to completely overhaul a room and give it a rustic country-themed look, wallpaper can be a great tool in your home decor arsenal. You will probably incorporate rustic wooden decorative items in the room but few designers will go as far as covering the walls with real wooden planks. Not only would that be an expensive solution, but it’s also not very practical. Rough rustic wood can be difficult to care for in the long run, accumulating dust and debris over the years. That’s where quality wallpaper can help! You can use barn-wood patterned wallpaper to achieve that perfect natural and authentic primitive look while still having an easy-to-maintain indoor wall. Fortunately, modern printing technologies help wallpaper manufacturers create realistic barn planks imagery to bring these patterns to life. Use barn wood wallpaper wisely. In most cases, you should limit the use to a single accent wall, and match it up well with country-themed decor items. Using these patterns on all four walls could simply be too much – often creating a strong retro effect. Interested? 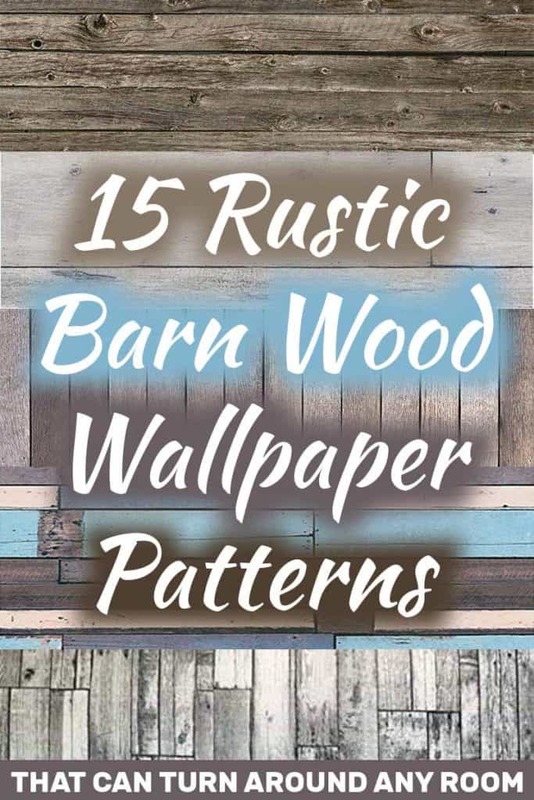 We’ve put together this list of 15 great rustic wood-planks wallpaper patterns for you to consider. The rustic charm of this wallpaper shines through the chipped and cracked paint of the wooden plank image. The artisan didn’t make use of calculated lines, instead added an element of randomness into the pattern. We strongly feel this is a great way to add an industrial look to your office or home without the high cost of installing real planks. Click to buy this wallpaper. This rustic faux planked wallpaper helps you impress your guests with a minimalist and traditional setting. The artisan uses soft fabrics and wooden textures to encourage a homely and welcoming ambiance. The wall mural features the look-and-feel of real barn wood planks without breaking the bank. The wall décor will look great when paired with a minimalist interior. It doesn’t become too dominant in your room but helps you complement the accessories in your home. The wallpaper is a cost-effective solution to help you bring in barn board planks into your room without harming any real trees in the process. Click here to buy this wallpaper. Improve the atmosphere in your home by integrating cool, bold colors. 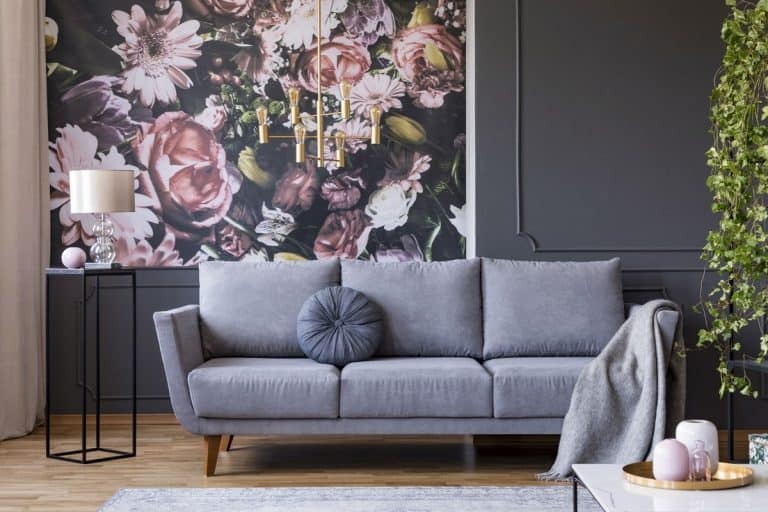 This wallpaper mural perfectly works well with larger open plan spaces. The silvered barn instills a bright color that is best felt in the playroom, kitchen, and bedroom. The silver hues lift the texture of the wood and the spaces, adding interesting details. One problem we had with the wallpaper is that it is not peel-and-stick. You will need wallpaper paste for installation purposes, a problem we feel might detract from the overall experience. But if you can get past the initial hard work required to set up this wallpaper, then this product is perfectly recommended. YJZ is getting pretty good at making nostalgic rustic wallpapers with predominantly wooden themes. This wallpaper helps you bring the natural Scandinavian look and feel in your home. We really enjoyed the soft blue tones and simplicity of this faux image, which is a cost-effective way of sprucing up your walls with natural materials. Furthermore, this wallpaper is fully waterproof. This can be important in areas where moisture tends to be a problem such as bathrooms and basements. Moisture can ravage through the fabric that isn’t waterproof. This shouldn’t be a problem with this wallpaper. Enjoy these faux wooden panels on your home, which are made by integrating different color pastels in an interesting and creative way. This wallpaper makes a powerful statement and is proof that rustic materials are truly the most beautiful things in life. The pale wood will remind up of being washed up on the beach, or summers spent by the lake. If you want a solution that allows you to add a natural feel to your space, then this Mediterranean Style Wood by YJZ is just what you need. This wallpaper helps you take a trip down the memory lane by taking you back to the summers spent in the cabin. Your next trip might be a few months away, but this wallpaper allows you to feel that you’re already enjoying nature and the simplicity of life. The subtle wood details make a unique background for a contemporary décor that imbues a relaxed setting. You can visually enhance a variety of rooms with this wallpaper, including your bedroom, kitchen, bathroom, and other areas of the house. This wallpaper requires wallpaper paste, which is not included. So you will have to make a few sacrifices here and there in order to get this wallpaper up and running. Click here to but this wallpaper. This wonderfully charming wallpaper sees beautifully planed faux wood flooring add some authentic texture and definition to your room. 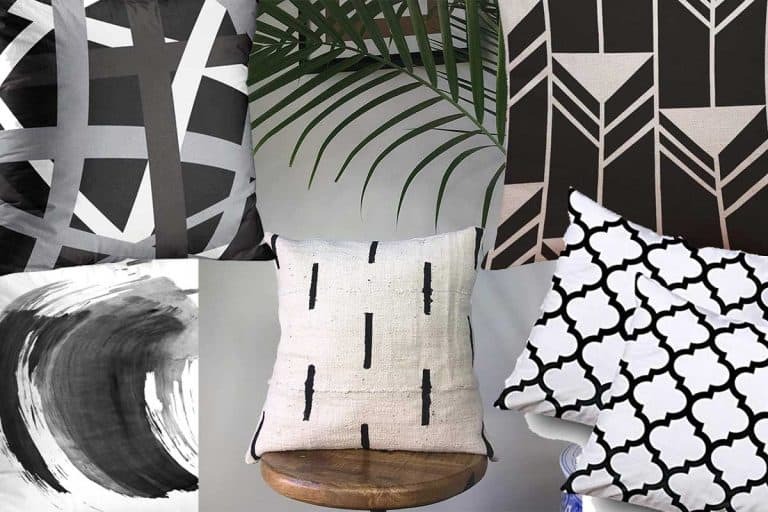 The artisan wanted to go for a design with a touch of sophistication and humor that would look visually appealing in dining room areas and kitchen walls. This wallpaper will reflect your interest for a cozy, homely space and the most relaxed look possible without having to break the bank. Let this hypnotic pattern of the distressed wood impress you and your guests. It features a unique composition of wooden planks with brilliant pops of blue that will undoubtedly look chic with any room. Furthermore, this wallpaper is 100 percent removable, making it easy to peel and stick. The fabric is extremely durable and does not leave any residues behind. Embrace your Scandinavian setting with this touch of rustic appeal. The reclaimed distressed faux wood wallpaper by Very Berry Sticker won’t let you down when it comes to creating an aesthetically appealing wall that perfectly complements your bold accessories. The subtle details in the mural are refined enough to make your guests assume that you actually paid for real walls! Furthermore, the countryside appeal of the wall should look great with more traditional furniture. The yellow and white combination of tones work best with minimalist spaces, especially for those who want to incorporate the look and feel of real wood onto their walls. Click here if you love this wallpaper. Let the mesmerizing golden brown panels elevate your living spaces to new heights. This wallpaper elegantly captures the wooden theme you want to look for. The advancements in printing technology allow the artisan to perfectly capture the authenticity of wooden decors with the high quality of ink. This wallpaper is completely waterproof, which means you can install it in many rooms including bathrooms, bedrooms, and living rooms – just remember to bring in some extra wallpaper paste because this product isn’t peel-and-stick. This retro wood wallpaper earns some very high points for authenticity in how it captures the beauty of faux wood panels. It is waterproof and can be installed in most living spaces. The PVC material is extremely durable and was chosen with ease of use and longevity in mind. This beautiful 3D wallpaper captivates your guests with a strikingly beautiful combination of imagery and old rustic wood colors. The material used is eco-friendly, tear-and-stain-resistant and printed with high water-resistant ink for long term usage. Maintenance for this wallpaper is easy, just use a moist cloth and wipe away at dirt and smudges. You won’t have to worry about damaging the fabric. In addition, this wallpaper is incredibly easy to install due to being removable. You can experiment to your heart’s content before settling with a look and feel that truly looks perfect. Enjoy the beauty of elegant and chic reclaimed wood with a stunning design that lets you enjoy the look of the wallpaper every time you look at it. The artisan drew amazing impressions of wood that will look extremely real to your guests. The wallpaper is easy to remove and reposition if you feel that you didn’t quite get the look you were searching for. Enjoy this rustic wallpaper that features authentic wooden murals that take advantage of innovations in printing technology. The subtle splashes of brown, overtones of white, bright pop of neutral gray and slight tinges of red should easily uplift your décor with an elegant barn wood theme. The ink won’t fade away any time soon, even if you scrub at the texture with all your might. With this wallpaper, maintenance is super easy, just take a damp cloth and remove any unwanted spots on the surface. The wallpaper fabric is rather durable and will last you several long years, just make sure you buy wallpaper paste because this product is not the peel-and-stick type. That’s the only problem we have with it, really. This wallpaper is the closest you’re going to get to the real deal. The brilliant combination of grays and whites add an elegant feel to the wallpaper. Because all the colors on this wallpaper are completely neutral in nature, you won’t have a problem with compatibility. This wallpaper can be partnered up with both contemporary and non-contemporary designs due to the versatility of the barn wood wallpaper which takes advantage of a neutral color palette. The fabric itself is fade resistant and durable enough to last a long time. Do order the sample swatch to see if the color goes well with your wall. To Wallpaper or Not To Wallpaper?